So, since Mr. Growly-Pants woke me early, I took his spirited self out for a 3 miler this morning. It was actually a bit nippy outside for it… and I hadn’t dressed for it! Luckily, I did wear pants, so that helped a good deal. My ears & arms were pretty darn icy by the time we got back, though. He forgot his manners during the run & came to a complete & ubrupt stop once… and now I have “leash burn” on my wrist. Nothing like having a 200 lb dog decide to come to a complete stop without warning you to have you flip.. I expect it was a rather funny site. Fortunately, it looks like the little burn I got isn’t too bad, so I shouldn’t get any sly looks. LOL! We went a wee bit faster today despite the comical stop – likely because there weren’t too many folks on the Trail today and those that were out there weren’t too inclined to stop & chat. Tried out my Runner’s Companion… it stretched out a bit towards the end & started slipping down a little. Not annoyingly so, thought. All in all, it worked out just about perfectly for today’s run… though when I got back, I had a band of sweat around my arm when I took it off. I’m definitely thinking that a superwash wool yarn would be much better – especially for the hotter temps and/or longer runs. That cuff of cotton will feel awful heavy in the summer months, I’m thinking – not to mention the friction burn it is sure to cause. But, we shall see! 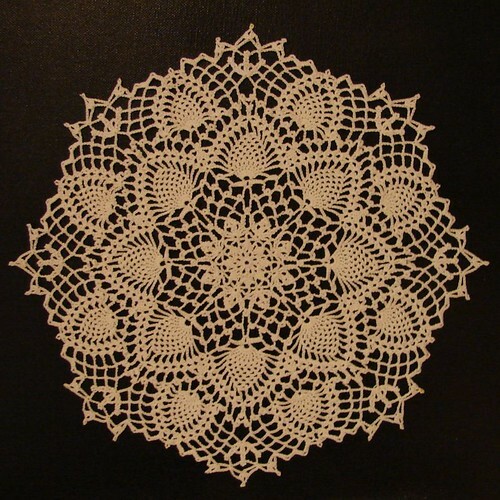 Hey, I worked on my Asphodel Lace Scarf this morning! w00t! LOL Didn’t accomplish a whole bunch, but just enough that I’m getting the pattern down better, anyway. Plan to work on it as much as I can today, hopefully will make some real progress on it. No doubt I’ll be well sick of it by the time it is nearly done! 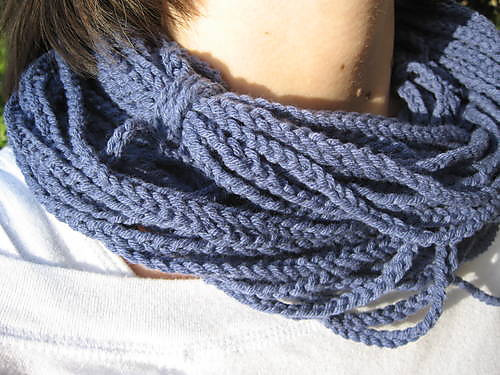 What *was* I thinking, knitting a scarf out of laceweight?! Yeesh. I am totally & completely blaming my RnR pals for this folly. * Crochet Beaded Rope - it really looks intriguing, doesn't it?! Tempting to get some beads - but I am so not going there, too!! From Interweave - I have this magazine... it's really eye catching! 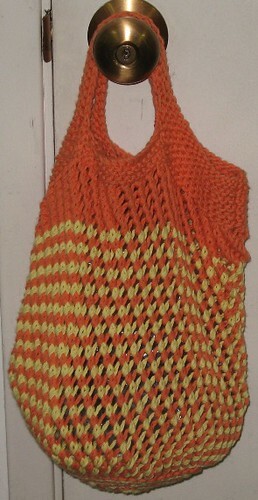 * Anyone who knows me knows how much I love my knitted shopping bags - they are teh bomb!! Stunning. 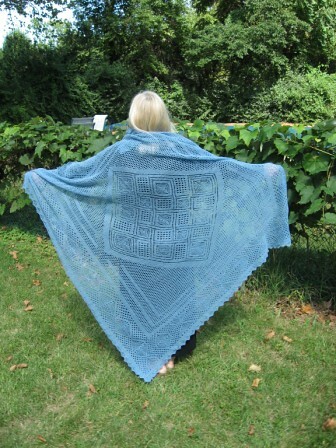 Truly - and the price for the pattern really is very reasonable, giving the size of this shawl! DO go check it out, it's breathtaking!! Oh wow... seriously, WOW! Gorgeous, I love it! 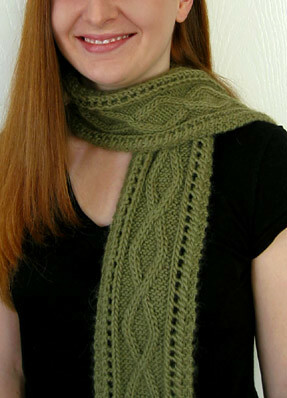 This entry was posted in Running and tagged Great Danes, Knitting, Ravelry, Running, Today's Ravelry Search. Bookmark the permalink.